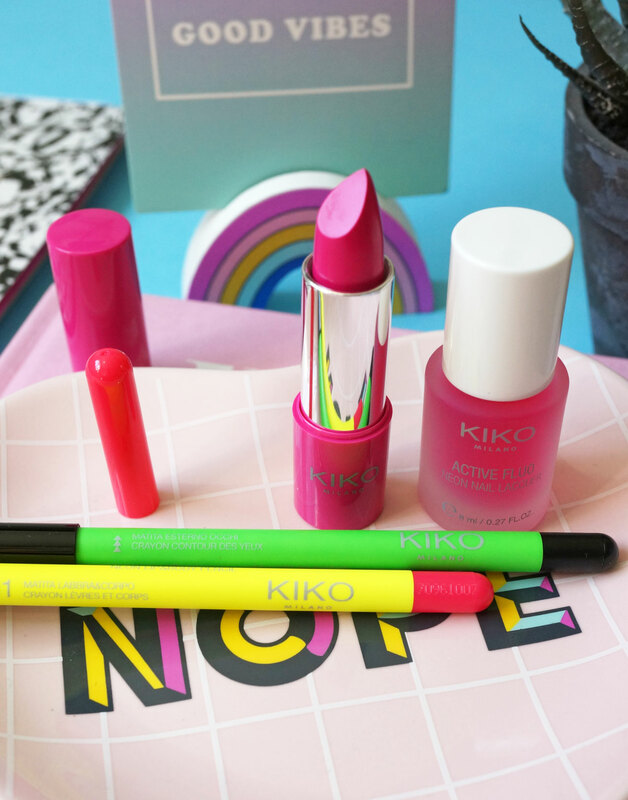 I have the latest limited edition collection from Kiko to share with you today – Active Fluo is their third capsule collection in celebration of their 20th anniversary. Created by fashion designer Arthur Arbesser, the collection combines in-your-face neon colours, with bold graphic motifs, and clean, minimalist shapes. 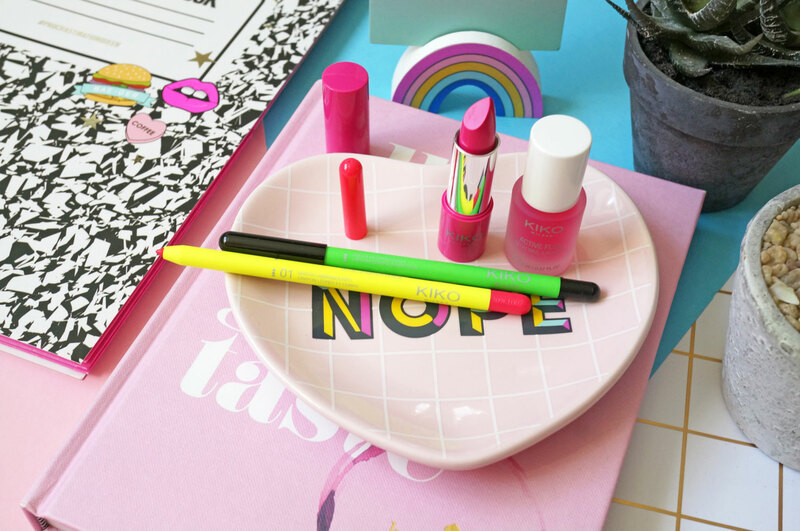 Let’s start with the Neon Eye Pencil (£5.90) – ok so I must admit I was a little confused when I first opened this pencil. 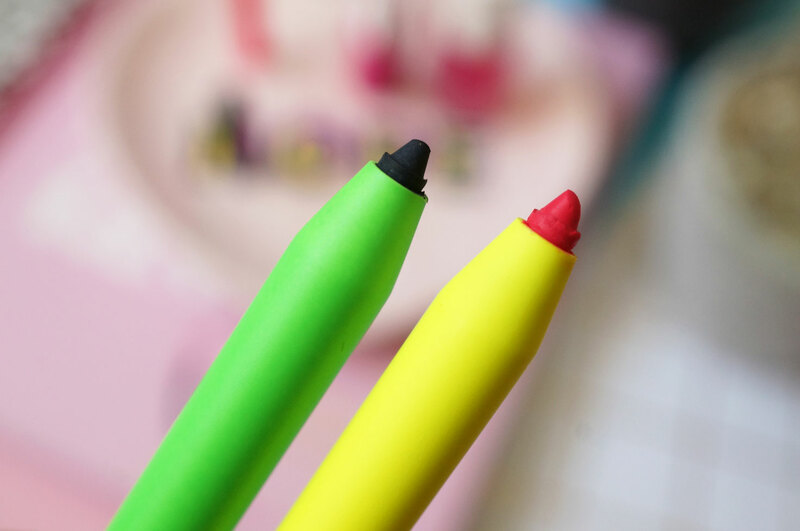 I expected a neon green shade due to the packaging, which I think is quite understandable, but this is actually a black eyeliner pencil that becomes fluorescent when exposed to UV light. Which I think is pretty cool! I should point out that this is not suitable for the waterline – I’m assuming due to the ingredient that makes it fluorescent. In terms of an eyeliner, it has a nice soft texture that does the job and can create a decent sharp line. Unfortunately I don’t have access to a fluorescent light so I can’t tell you how well it glows! 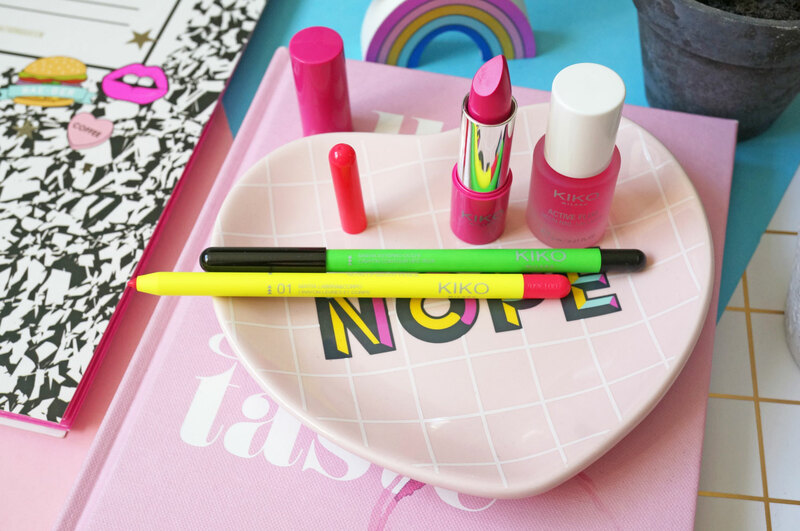 The Neon Lip & Body Pencil (£5.90) – is very similar to the above Eye Pencil, it’s basically the same as it glows under fluorescent light, but this pencil is specifically made for the lips and body. This one is also available in three shades which match up to the lipsticks in the collection. I have 01 Stronger Coral, which is a bright pink shade that gives a high-definition line. 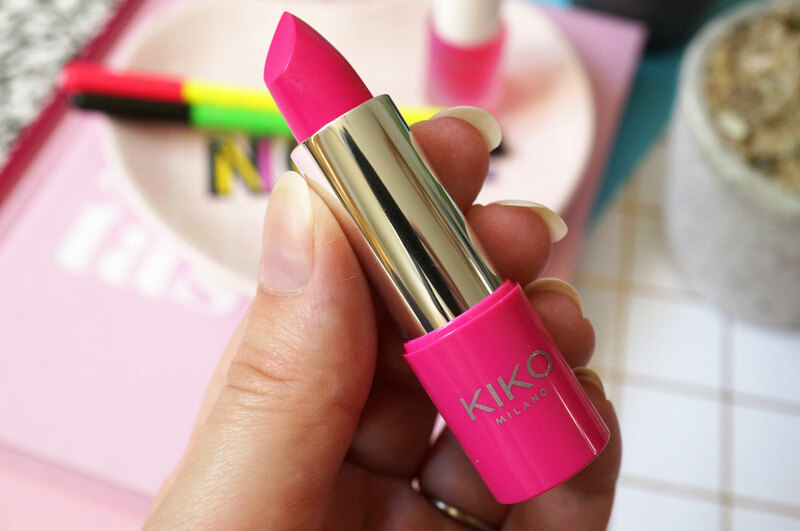 Next the Neon Lipstick (£6.90) – this is an amazingly bright intense pink matte lipstick that becomes fluorescent when exposed to UV light. 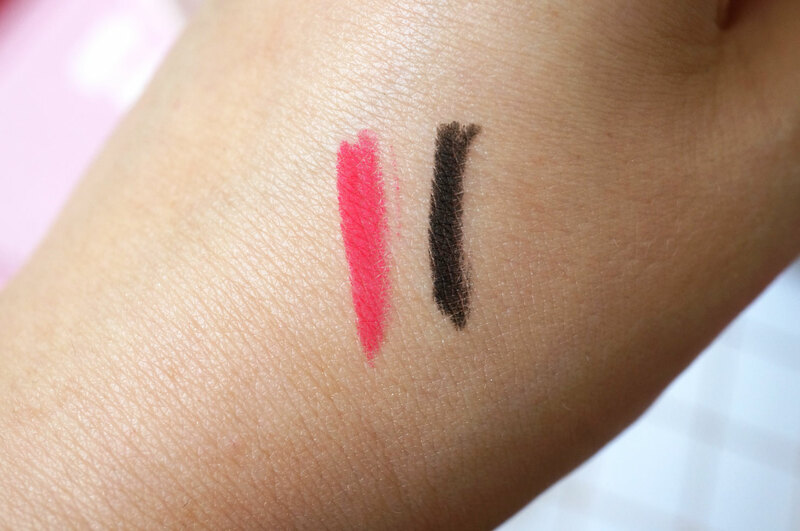 It has a velvety matte texture that isn’t the most long wearing matte I’ve ever worn, but it’s still very good and not as drying as other mattes. This is available in three bold colours, and I have shade 02 Powerful Fuchsia which is a blue toned neon pink. And lastly the Neon Nail Lacquer (£3.90) – this is a clear, pink tinted nail polish that can be used on its own or as a top coat. It has a plumping effect, and you can probably guess by now it also becomes fluorescent when exposed to UV light. I actually really like this, it’s just something a bit different, and I love that you can put it over any base colour of nail polish to make your nails glow under UV. Overall this is a great collection – the only thing I will say is it’s a real shame I wasn’t able to get my hands on a UV light – I’d love to have had the chance to test everything out to see how well it all glows. Do let me know if you’ve tried any of these products out under UV as I’d love to hear if they really work! 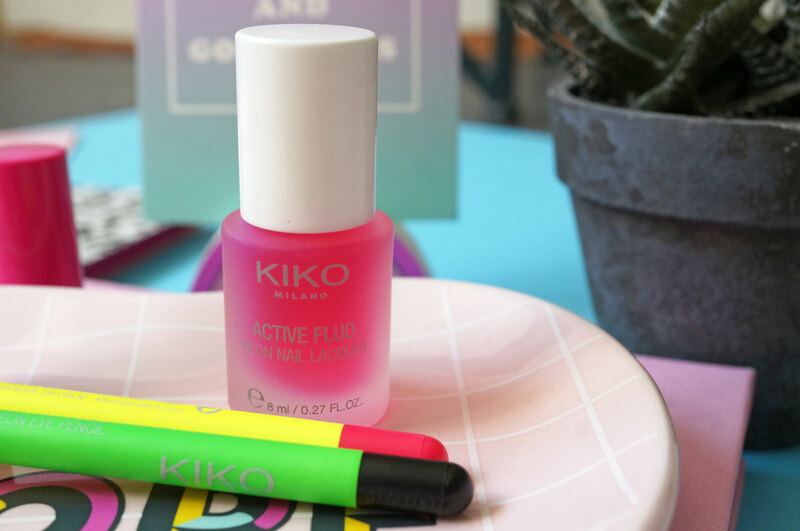 The Active Fluo collection is available now at Kiko Cosmetics – and is currently on sale at half price, so be sure to snap them up while you can.